I know we are all getting excited to have a break in the weather. We’re gearing up to plant flowers in our gardens and eyeing the new summer clothes hanging on racks in our favorite stores. Spring came early for me this year. At one of our ACFW (American Christian Fiction Writers) chapter meetings last fall, a member shared information about a writing conference in February. A cruise leaving out of Miami. I was all in. Most people think of Florida as one big beach. Or they only know it as the home to Disney World and orange juice. But Florida is so much more. I grew up in Florida. Florida is my home. It was fun for me to stay in the family home once more. Before heading to Miami I enjoyed sharing a bit of “old Florida” with my ACFW friends. We picked star fruit from a tree and enjoyed its sweetness. We ate Japanese plums and walked the country roads taking pictures of the flowers and birds. The cruise was wonderful and informative. It was time and money well spent. But when I returned to Tampa, I stayed a few days longer than my friends from Ohio. I visited with family and high school friends. I reconnected with my church family at First Baptist Lutz…the very church where Tom was baptized and we were married. I traveled to Dunnellon with my mother to see dear friends who live near the Rainbow River. The river is crystal clear and icy cold. I scribbled in the sunshine, soaking in every ray I could before heading back to Ohio. To me, Florida is so much more than beaches and Disney. It is home. So what did I scribble? 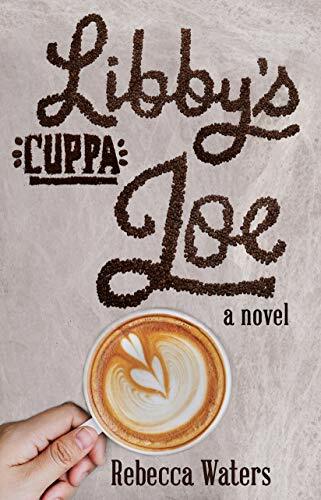 Yes, Libby’s Cuppa Joe releases March 8 and I’m excited about that. The early reviews look great. I have two more books at different stages in the works but in preparation for the conference, I crafted a new story. It’s a sweet (read “clean”) romance between a young man and young woman who happen to live in Florida. In a place that looks remarkably similar to my hometown. I completed the first and second drafts before the conference. Now I’m sitting in the sunshine by the lake going through the manuscript with a goal to fine-tune and edit. I’ll likely put it aside for a few weeks when I return to Ohio so I can read it with fresh eyes and make even more revisions. It will be a way I can share “old Florida” with more friends. Friends like you. So gear up. Spring is coming. Get ready to do your own “scribbling in the sun.” And while you wait, you may want to read Libby’s Cuppa Joe. Grab it HERE. I agree about Florida. Though its never been my home, I love historic St. Augustine. Yes! There is so much history here. So much missed by tourists! Thank you for stopping by! "Lucy...You Got Some Splainin' To Do"